Sign up and receive Property Email Alerts of Flats for sale in Kenilworth, Cape Town. Greyville will pay the bill! 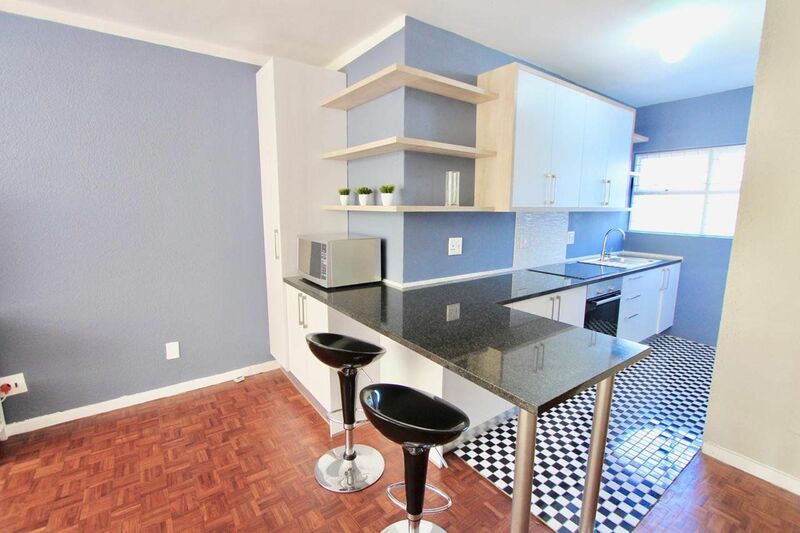 This beautiful one bedroom apartment is superbly located in Kenilworth near trendy second avenue in Harfield Village. The modern open plan kitchen boasts ample counter and cupboard space, a convenient breakfast bar and is plumbed for two appliances. The kitchen flows into the dining and living room complimented by a sizeable balcony area with views of the lush surrounds - perfect for entertaining family and friends. The bedroom boasts built in cupboards, large windows and parquet flooring. One bathroom with a large walk in shower. This apartment has it all with a secure garage, great security and a superb location. This apartment is ideal for Airbnb with WIFI included and is currently getting R 1000 per day! Perfect for the first time buyers and or young professionals looking to enter a thriving southern suburbs real estate market! New Kenilworth development set to move fast – don’t miss out! Sign-up and receive Property Email Alerts of Flats for sale in Kenilworth, Cape Town.